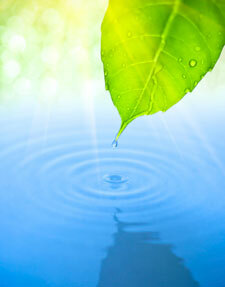 One of the pillars of a detoxification program is Vitality, a zeolite product. If free radicals are not neutralized, they can cause premature aging, immune dysfunction and a myriad of diseases including cancer, cardiovascular disease, Alzheimer’s and Parkinson’s disease.The type of zeolite in Vitality known as clinoptilolite, has powerful antioxidant properties. Its structure, which is similar to a soccer ball, not only traps toxins such as heavy metals, but also free radical molecules. However, unlike classic antioxidants, zeolites do not neutralize free radicals by donating an electron to stabilize them. Instead, the structure of the zeolite is such that it captures the free radical and locks it safely away so that it cannot harm the body. Once trapped in the zeolite, the inactivated free radical can then safely be eliminated from the body. After meeting with the manufacturer of Vitality and speaking with a number of other health professionals, who prefer to use it over other zeolite products, I became convinced this was the way I wanted to go for myself, my family, and my patients because of the minute size of the clinoptilolite. It was through a process called hydrolysis that it was made so small it could penetrate the blood/brain barrier and remove metals from the brain like mercury and aluminum etc, the cause of Alzheimer’s and dementia etc. The more toxic metals residing in the body, the higher the free radical activity. Heavy metals in the body exponentially increase free radical activity and today everyone has far more heavy metals than ever. Thus, removing toxic metals from the body will greatly reduce the number and activity of free radicals. The detoxification process should not be done in a haphazard manner. Testing with the Oligoscan photospectometry method will reveal the tendencies of that person for heavy-metal toxicity and the mineral imbalances in their body that can cause the inability to excrete heavy metals. For instance a lack of sulfur in the body will inhibit the binding influence of toxins in the liver to be excreted. Once the Oligoscan machine shows what minerals are deficient, then we know how to supplement to remove the metals. Once that is known a program can be devised to safely and slowly remove these poisons from the body. If the patient is a non excretor too much mercury or aluminum or other metals being removed without the lymphatic system being fully functional can lead to further blockages and a person can become sick. Therefore we open up the lymphatic system first with detoxing creams, and then proceed to loosen up the metals and poisons from other internal areas of the body like the brain and the organs and the bones. Once the lymphatics are working we also use ionic foot baths and far infrared saunas to sweat and pull out the poisons. Without the lymphatic system working we would just be sweating out mostly water. Pretty much a waste of time and effort. The bottom line is slow and steady wins the race. Sound interesting? Please contact our South Austin chiropractic office to make an appointment today.